The idea of creating an analytics roadmap for the enterprise can be daunting, what with the expansion of new data sources, the proliferation of new analytics systems and tools, and the tremendous demand from the business for faster insights. “The biggest challenge we see with organizations going down the analytics journey is that they start with a technology-led approach,” says Jimit Arora, a partner with Everest Group. 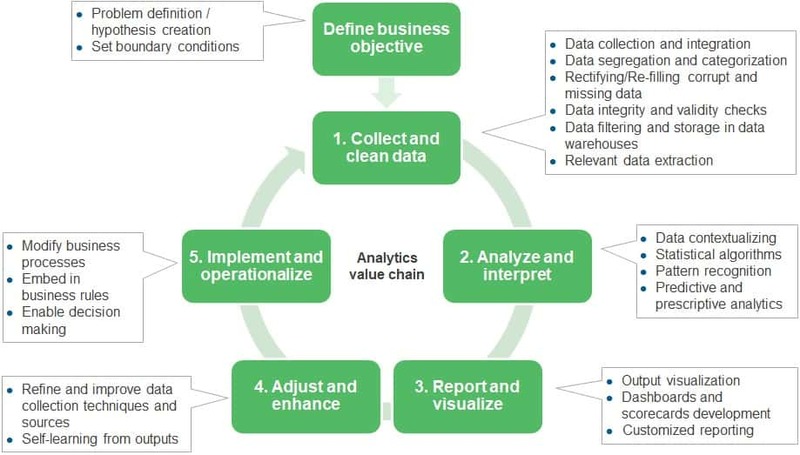 “For example, companies feel invested to buy the latest big data tools and visualization technologies, and then determine how to create optimal usage.” Those seeking to create an effective analytics strategy should start with key business objectives, such as top-line growth, cost reduction, or risk management.